It's Handmade for Kids month at Smile and Wave but I wanted to get a little fashion inspiration in here, too! I asked Rachelle of Kenziepoo to share a few of her favorite places to shop online. Thanks, Rachelle! Hi, my name is Rachelle Francey. I am a blogger, mother and editor. I was inspired to start a blog called Kenziepoo, after my daughter Kenzie. I write on everything from clothes to nursery decor. I am also the editor of the online magazine for kids, La Petite. 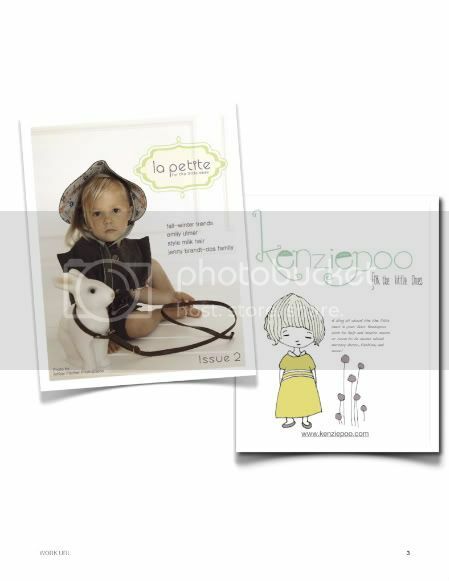 La Petite is releasing it's third issue the first of February, along with a shop. You can expect to find clothes & hair accessories for your little one in the shop. I currently live in Boise, Idaho with my husband and Kenzie. Here are a few of my favorite things for Spring/Summer 2011. Update your child's look with some of these great designers! 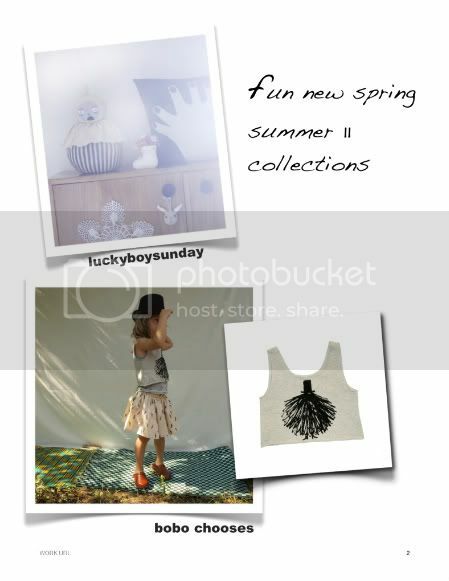 Luckyboysunday & Bobo Chooses have great new spring/summer collections right now. Bobo Chooses is very affordable and just too cute to pass up! You will be sure to get lots of compliments when your little one is rocking these brands! 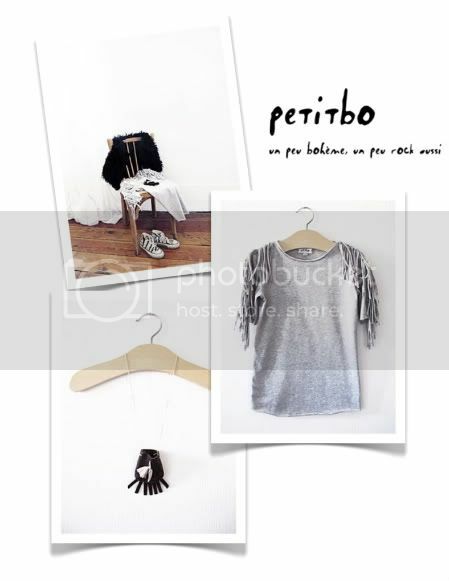 Petitbo is a fun webshop! I came across this shop via the super talented Monika Elena. You can expect to find the brand Petitbo but also Minnetonka moccasins, vintage Converse, books from Paumes and lots of other nice things for kids! Their collections are made in small quantities, local, and handmade. All of their garments are made with lots of heart in their atelier in Toulouse, France and all jersey fabrics are knitted in Sweden. I had so much fun visiting! Thank you, Rachelle, for sharing some of your favorite online shops with us! Some of my favorite regular features on Rachelle's blog are the 'Turn this Room into an Outfit' and 'Things I love Monday'.If you aren't familiar with Kenziepoo or La Petite I suggest you take a look. You'll be inspired, I promise! p.s. All images courtesy of Rachelle. I just found your blog and LOVE it! Grabbed your button too! I just posted about staying at home with two babies. Great picks, Rachelle! So glad to see a guest post from you! Thanks so much Rachel! I had so much as a guest on your lovely blog! Love that you had Rachelle do a guest post! LOVE her blog! And she's such a sweetie!